Saints hopes of a European campaign are still just about alive, but the team really need to stop giving away daft goals and at the same time be a bit more ruthless in front of goal, if they are going to have any chance of achieving this. Shane Long was probably Man of the Match, while spurning several chances to add to his solitary goal. Within two minutes he had hit the post after making the most of the freedom of the park that the Villa players gave him. It set the tone for the rest of his match. He is excellent at getting in behind defences, but has never been the best at converting his hard work into something tangible. From the post-match interviews I see that he apparently apologised to Ronald Koeman after the game for not scoring more goals. Games like this at the end of the season can be so unpredictable. As an example just look at Newcastle, so utterly hopeless last week, they gave Liverpool a really hard game this week and were unrecognisable from what we saw at St.Mary's. Ronald Koeman obviously had this in mind as he rang the changes in the team. The back five were the same, except for Cédric returning at right back. Midfield this week was Wanyama and Romeu, but the big surprise was Jay Rodriguez replacing Graziano Pellè up front. An intriguing pairing with Shane Long. The returning Steven Davis and Tadić were the other two forwards. Villa were wretched in defence, but looked surprisingly good going forward. Certainly good enough to give both Fonte and van Dijk problems. 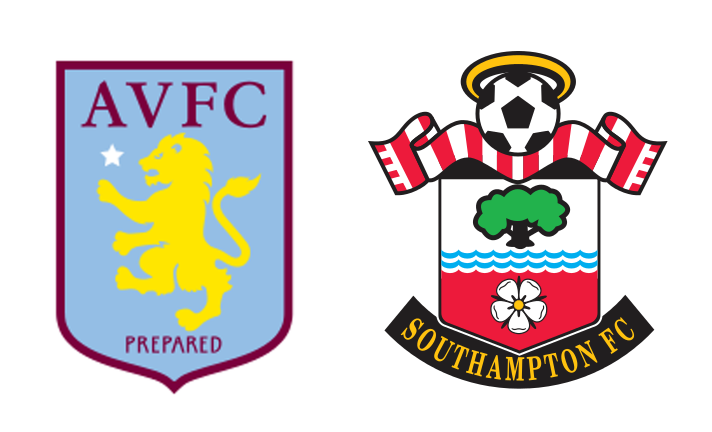 In the case of van Dijk he had clearly gone into the match thinking that Villa would not offer a threat and was going to have some fun up at the other end of the pitch. To be fair, he did actually hit the upright with one shot, but too often he was scrambling back to cover when a Saints attacking move broke down. I would hazard a guess that this was how he played for Celtic, when there was no real quality of opposition. Fonte on the other hand, was again showing signs that the old warhorse is approaching the end of his top flight career. Too often he was turned too easily, but his experience at least put him in the right position most of the time. Will we get another season out of him? All this might seem hyper-critical, on a day when Saints scored four goals, but the team showed the reasons why we are not higher up the table, by allowing a very poor team to score twice and not converting more of the chances that the good approach work had fashioned. Wanyama had an indifferent 45 minutes and was replaced by Clasie after half-time. When he has his head straight Vic is immense, but on days like this against low key opposition he just rushes round looking for a yellow card. Romeu on the other hand, looks like the future of the midfield. He is increasingly looking comfortable in his role and is always demanding the ball, looking to move forward. Not quite a direct replacement for the much missed Schneiderlin, but pretty damn close. One pleasing thing for me was that Rodriguez got 70 minutes under his belt, but he did look understandably rusty. He has had a pretty miserable couple of seasons and it is unlikely to be until next season, with a good pre-season under his belt, that we see the great player we all know. He was replaced by Sadio Mané, who scored a good goal in injury time and promptly ran to the Saints dugout to embrace Graziano Pellè. At least he looked pleased with his goal this week. Dušan Tadić is back to something approaching his best, scoring a goal in each half, but is still prone to trying to do clever little flicks with the ball, that see him come unstuck, when the simple thing would have probably been the better choice. So, plenty to be happy about, but still plenty of room for improvement. I can see why Ronald gets so wound up on the touchline at times.